The objective of this research is to investigate the relation between the Internal Control over Financial Reporting (ICFR) Quality and Information Technology Control (ITC) frameworks compliance. We selected a sample of listed companies in the manufacturing, service and finance industries in Italy. The data were collected with interviews and questionnaires for ITC information and through financial reporting for ICFR Quality. The research methodology included univariate, multivariate and simple linear regressions. The Dechow et al. model, the Kothari et al. model and the Healy model adapted to the finance industry are engaged to measure ICFR Quality. 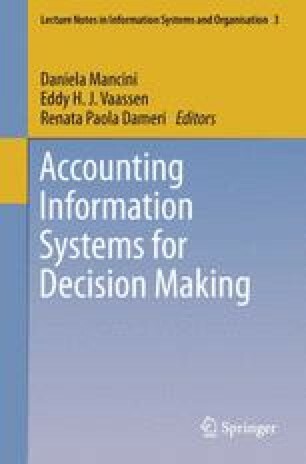 The results show that compliance with COSO report in the manufacturing and services industries and with COBIT and COBIT for SOX frameworks in the finance industry is positively related to ICFR Quality: companies that follow these frameworks’ processes, objectives and test frequency requirements decrease Discretionary Accruals.